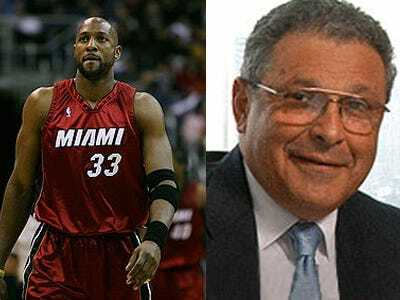 The former chairman of the Commodities Exchange, Marty Greenberg, is suing former NBA superstar Alonzo Mourning over a hole-in-one, the NY Post reports. Greenberg scored the rare golfing feat at a tournament hosted by Mourning’s charity last August, and the prize for doing so was $1 million. Greenberg scored his hole-in-one at the Trump National Golf Club in Briarcliff Manor, during the anual Alonzo Mourning Charities Tournament. Before Greenberg, no-one had ever hit a hole-in-one on the Par 3 13th hole to get the $1 million. But an hour later, Greenberg was “summoned to the course” to meet with one of the insurance reps, and had to point out the exact place from which he hit his tee shot. Then the insurer denied coverage because the ball didn’t travel 150 yards. So Greenberg filed suit against Alonso Mourning Charities and against Trump’s club. This situation should have been a happy and exciting event. It is my intention to use the proceeds for charitable purposes, which makes my being forced into legal action all the more tragic. Sadly, I was left with no choice. And apparently the Donald offered to play a round at the course with Greenberg with some pretty sweet terms attached. If Greenberg won, Trump would hand over $1 million in cash then and there. If Greenberg lost, he’d have to pony up $100,000. Greenberg didn’t take him up on the wager.